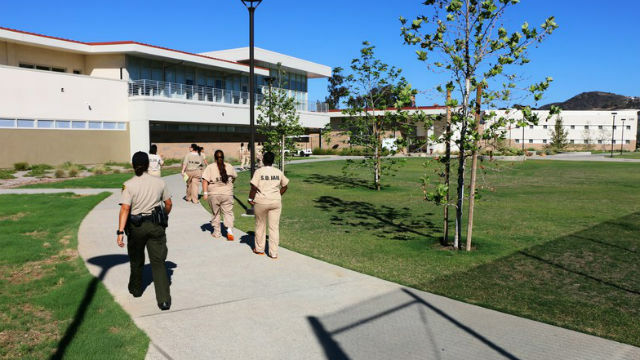 A female inmate of a San Diego County Sheriff’s Department jail facility died while receiving medical care at a local hospital Saturday. The woman, 52, was an inmate at Las Colinas Detention and Re-entry Facility in Santee, the Sheriff’s Department’s primary jail for women. She had been hospitalized for about six weeks before her death, sheriff’s Lt. Rich Williams said. Around 3:45 a.m. Saturday, the woman went into “medical distress,” and despite efforts from hospital staff, she was pronounced dead just after 4 a.m., Williams said. Her identity was not released pending family notification. The woman had been in custody since January 2018 for charges that included murder, manslaughter and domestic violence, Williams said. Sheriff’s homicide detectives investigate all in-custody deaths, and will conduct an investigation of the woman’s death. Officials from the county Medical Examiner’s Office will also conduct an autopsy. The response is not an indication of foul play or suspicious circumstances, Williams said.